The Philippine Charity Sweepstakes Office (PCSO) released the official result for the 6/58 Ultra Lotto draw on October 7, 2018. 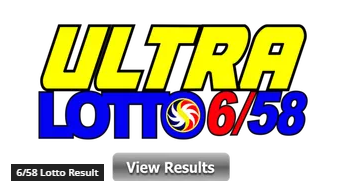 Filipinos had taking chances by playing lotto as the jackpot price continue to increase to about a billion pesos. You may claim the jackpot prize at PCSO Head Office, Conservatory Building, 605 Shaw Boulevard, Mandaluyong City 1552. For PHP 10, 001.00 and up excluding the jackpot prize - you may claim at PCSO Branch Offices in your area or at the PCSO Head office, Conservatory Building, 605 Shaw Boulevard, Mandaluyong City 1552. For PHP 20,000 up to Php 10,000 - you ,ay claim at any authorized Lotto outlet or at the PCSO Branch Offices in your area. Prizes above Php Php10,000 are subject to 20% tax pursuant to Train law.